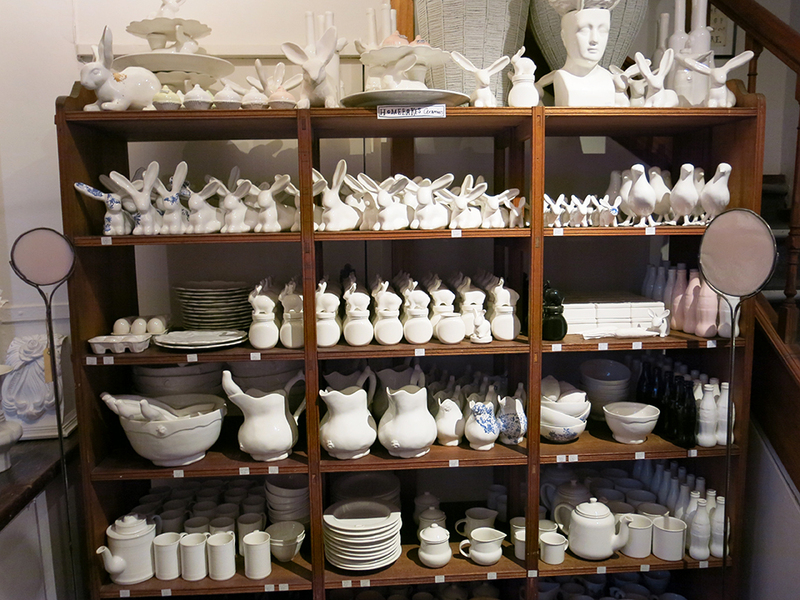 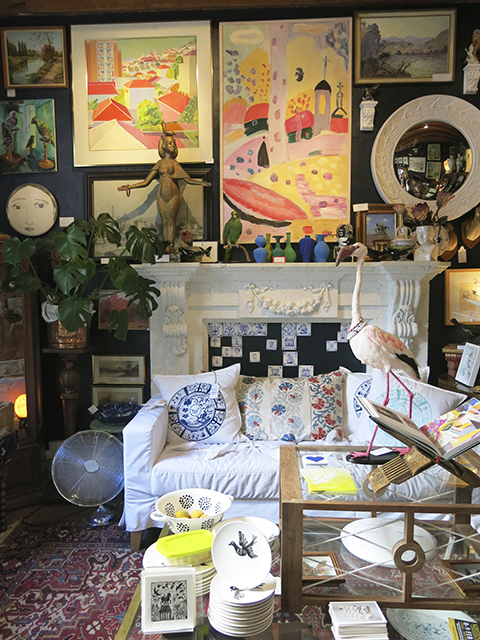 If you’re in Cape Town for the Design Indaba, travel downtown to the arty quarter for some of the most curious shopping in the city. 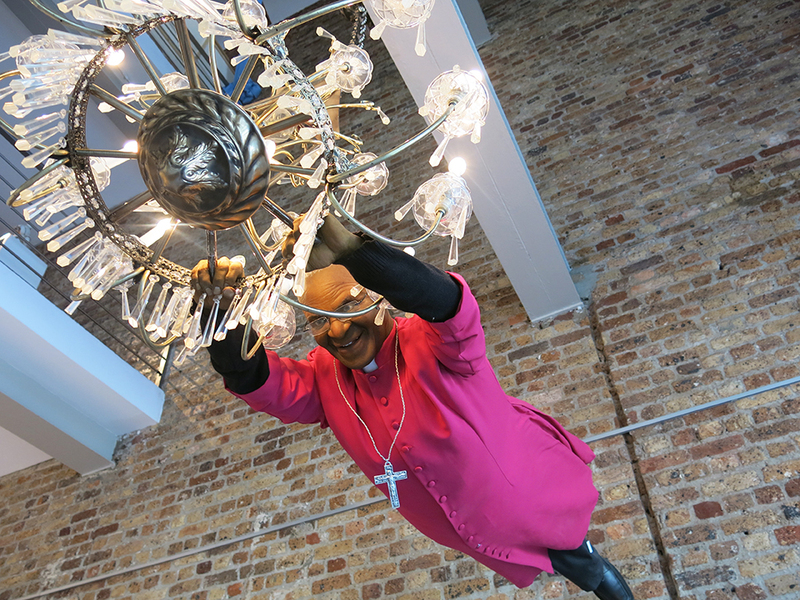 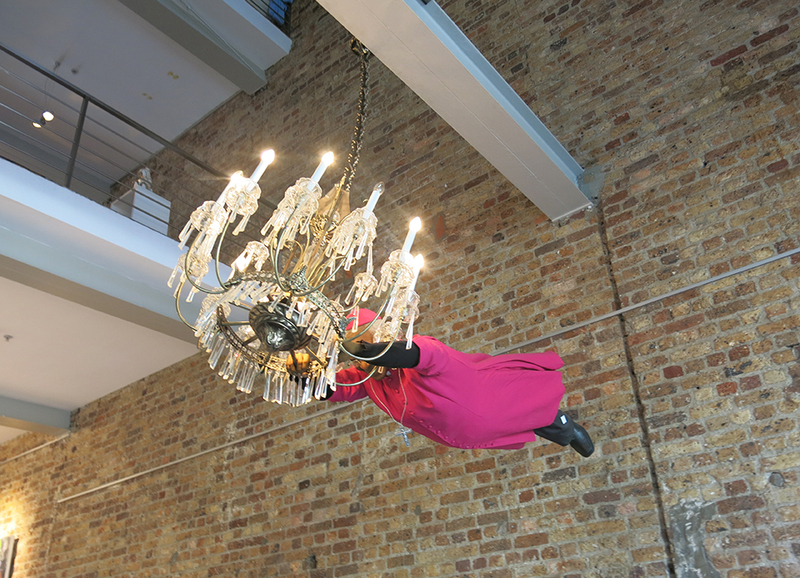 Here you’ll see Archbishiop Desmond Tutu swinging from a chandelier in the Beautifull Life Building, which houses the Youngblood arts centre, on Bree Street. 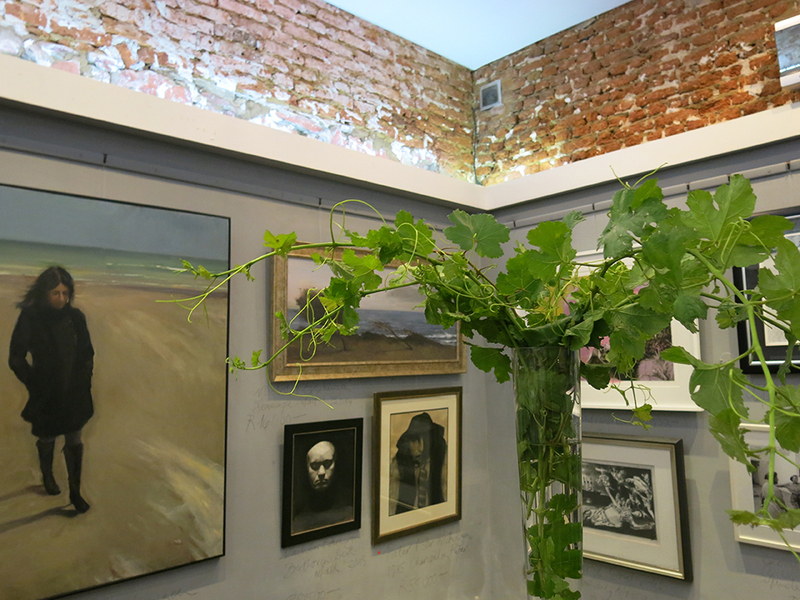 Close by is what is reputed to be the oldest fruit bearing vine in the Southern Hemisphere. 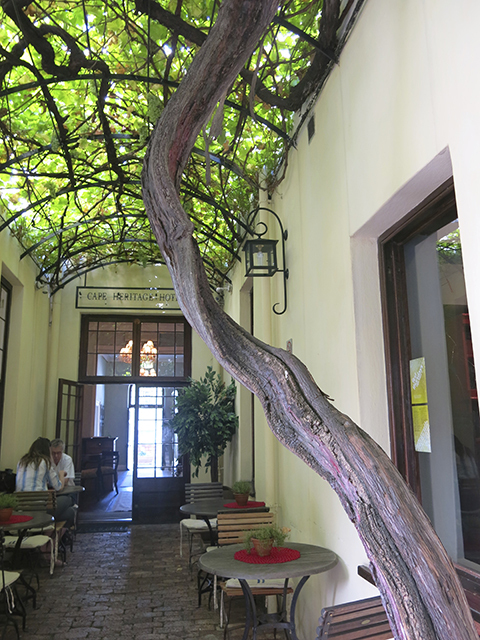 Planted around 1771, the grapevine can be found in courtyard of the Cape Heritage Hotel. 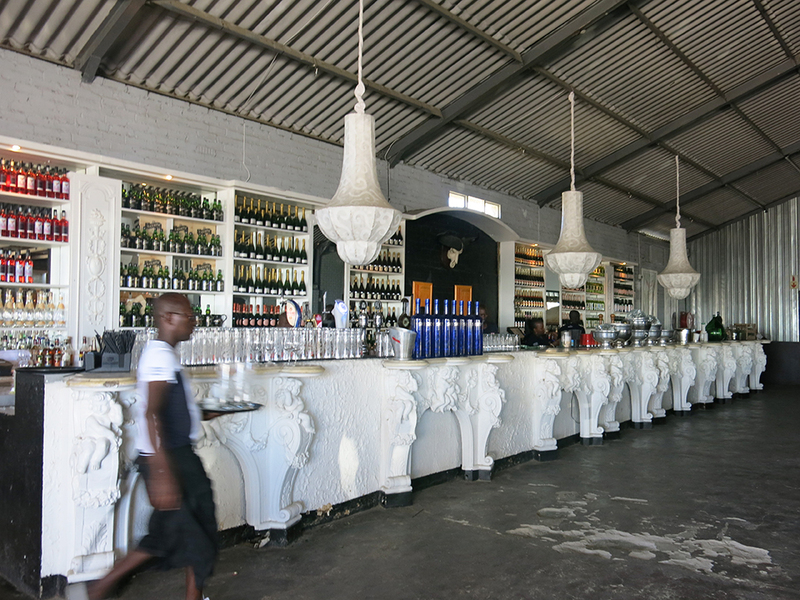 It’s a miracle that the vine is still alive, especially as in the 1960s the square was under threat of demolition and was left abandoned for over a decade. 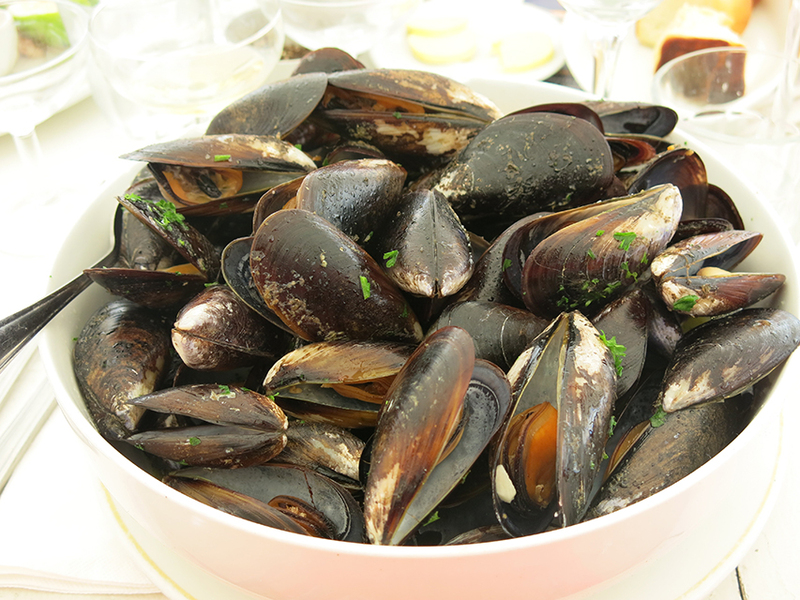 It survives largely unwatered apart from the Cape’s winter rains and the fruit it bears produces around 20 litres of excellent wine every year. 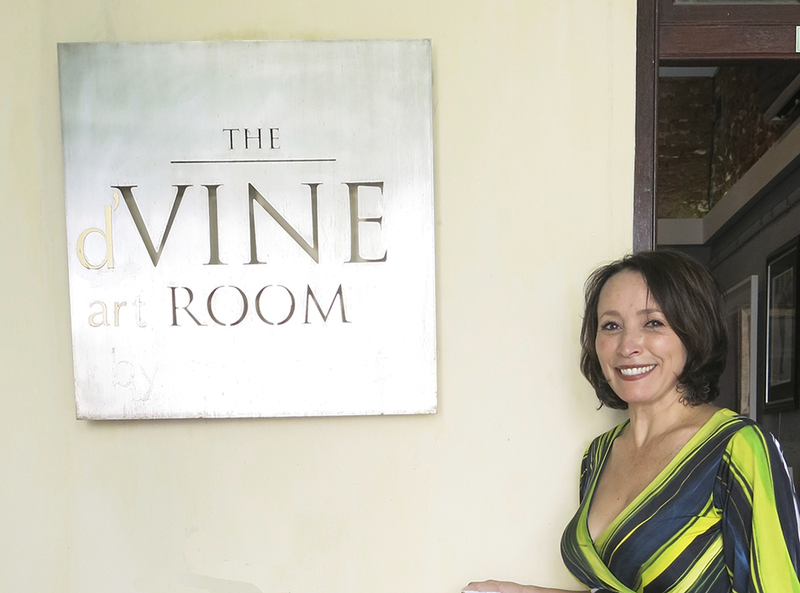 Under its shade, you’ll find Shay Davis’s appropriately named D’Vine art room, (she borrowed some fronds for her flower vase), alongside her New Heritage Gallery. 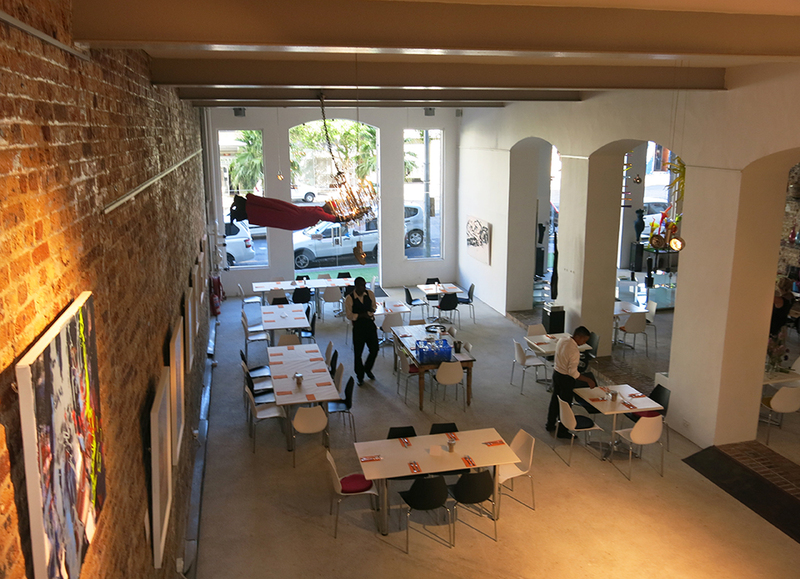 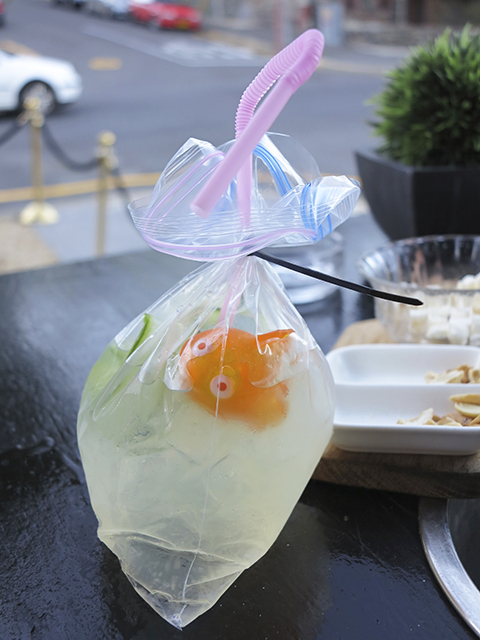 The courtyard also houses a buzzing restaurant called Bistro Bizerca. 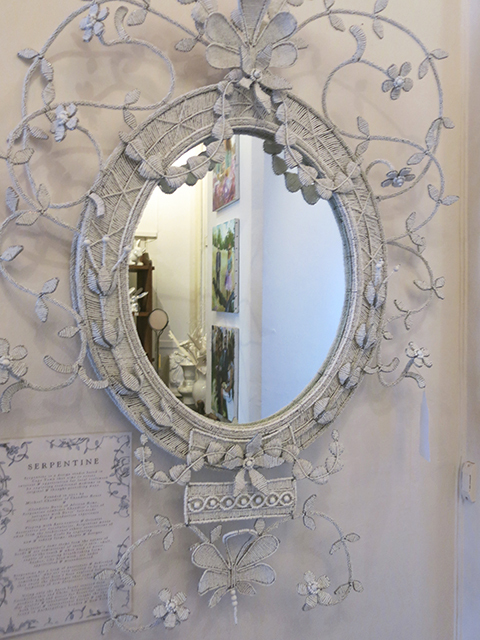 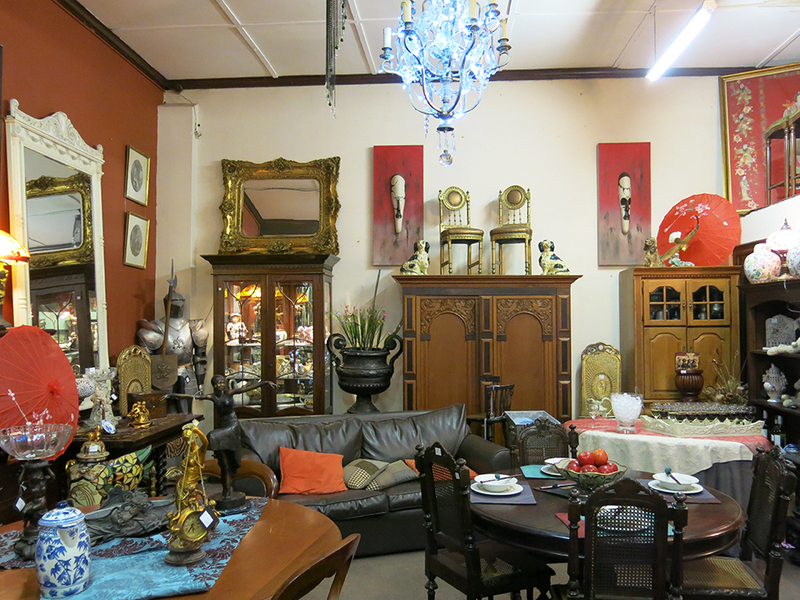 Visit Mystic Loft at Myra’s Antique Gallery for old fashioned curiosities and vintage clothing. 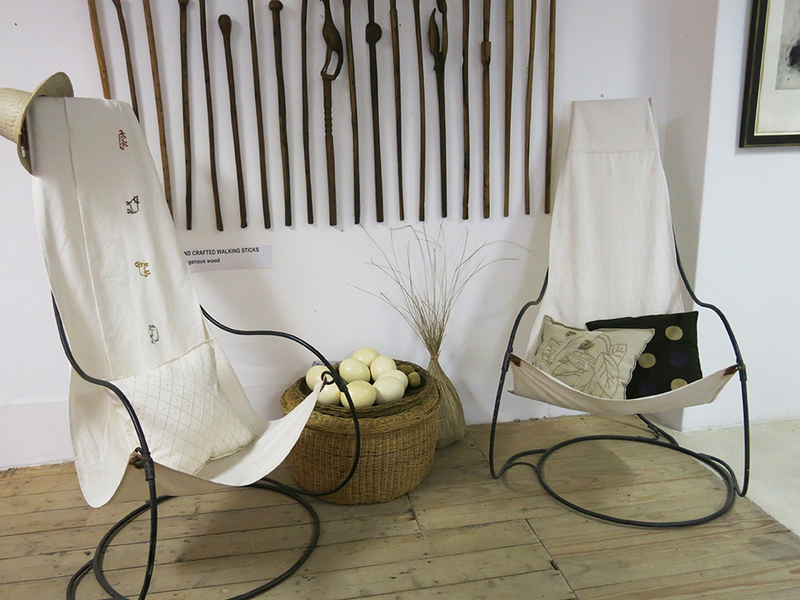 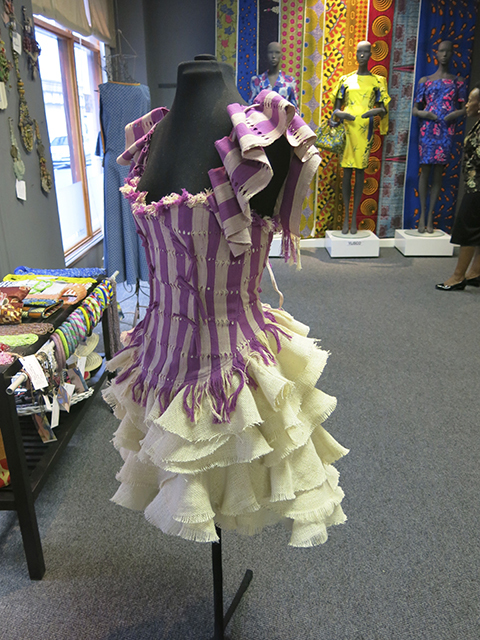 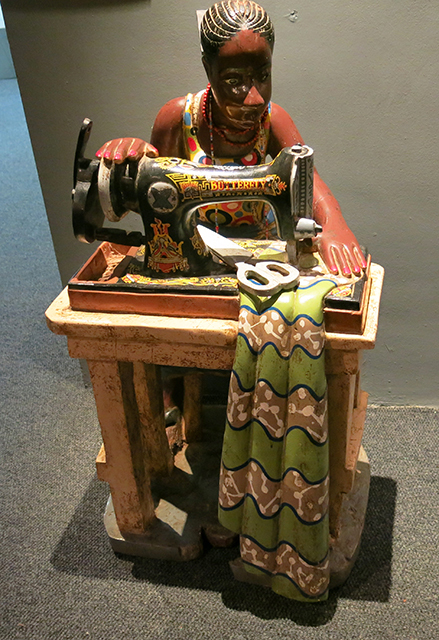 Long Street and Shortmarket Street are great for sourcing African crafts. 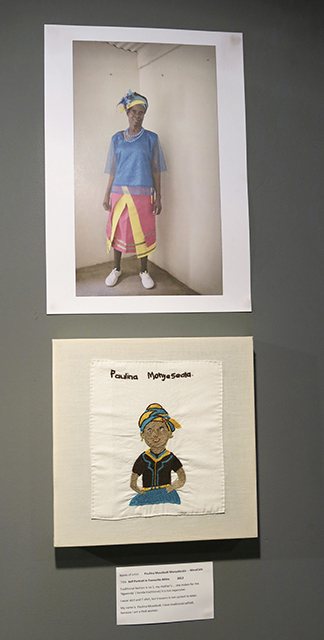 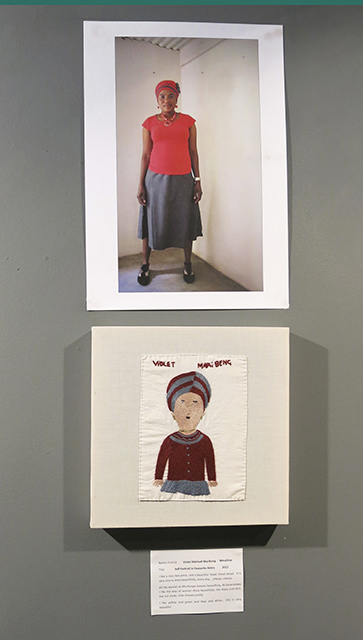 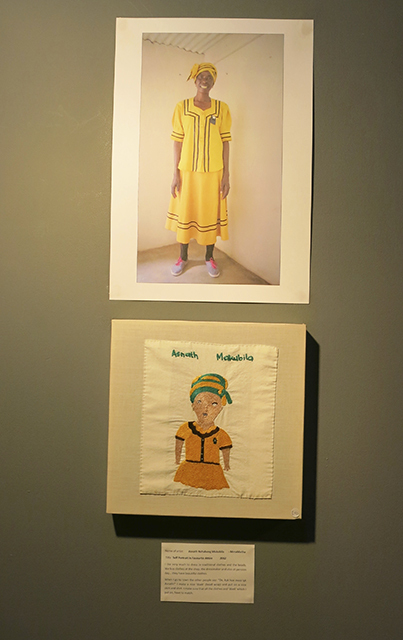 We loved these hand embroidered self-portraits and Sewing Lady sculpture. 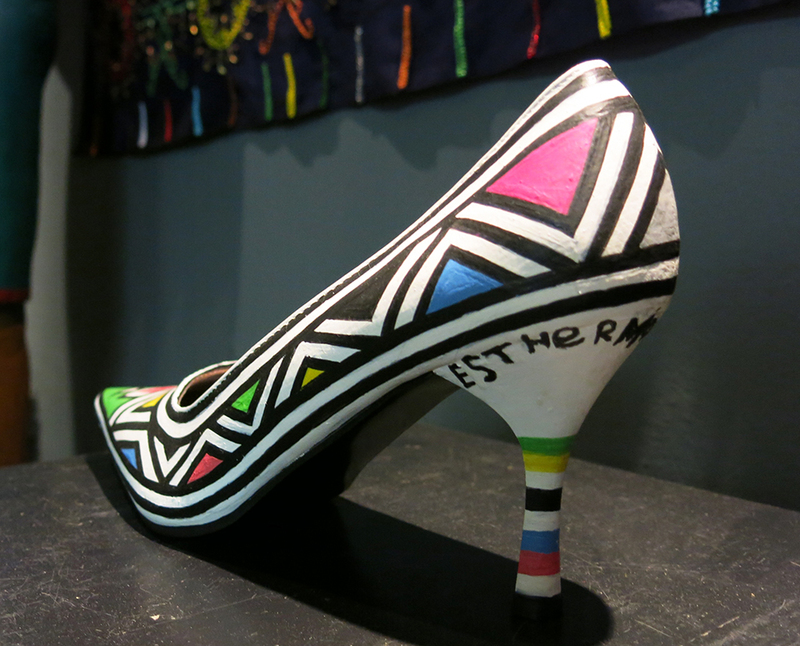 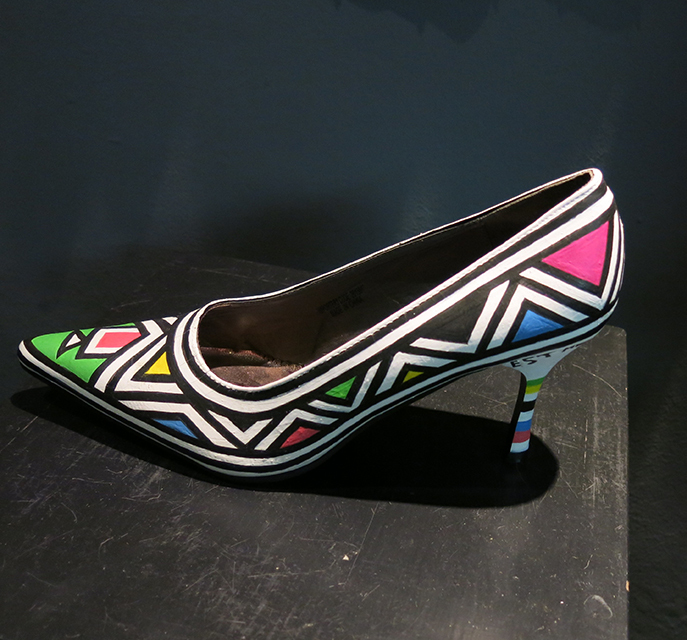 Or these fabulously colourful hand painted shoes. 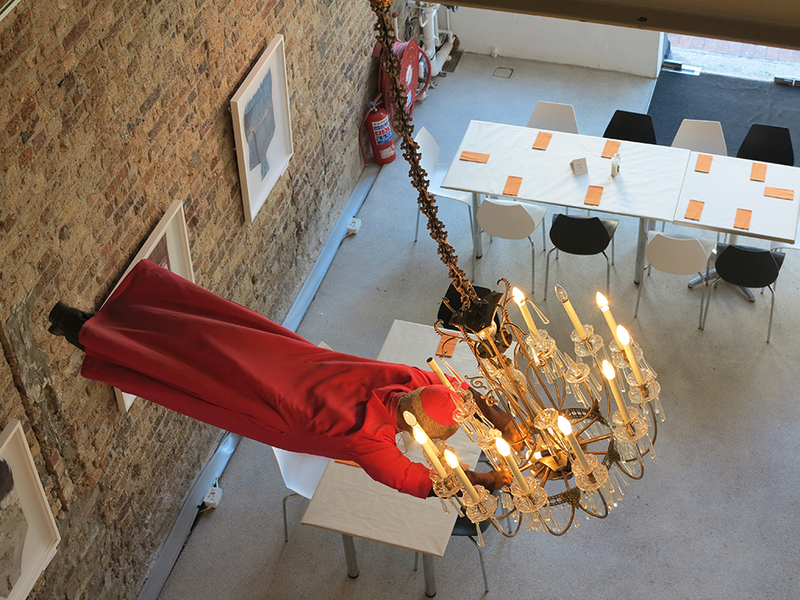 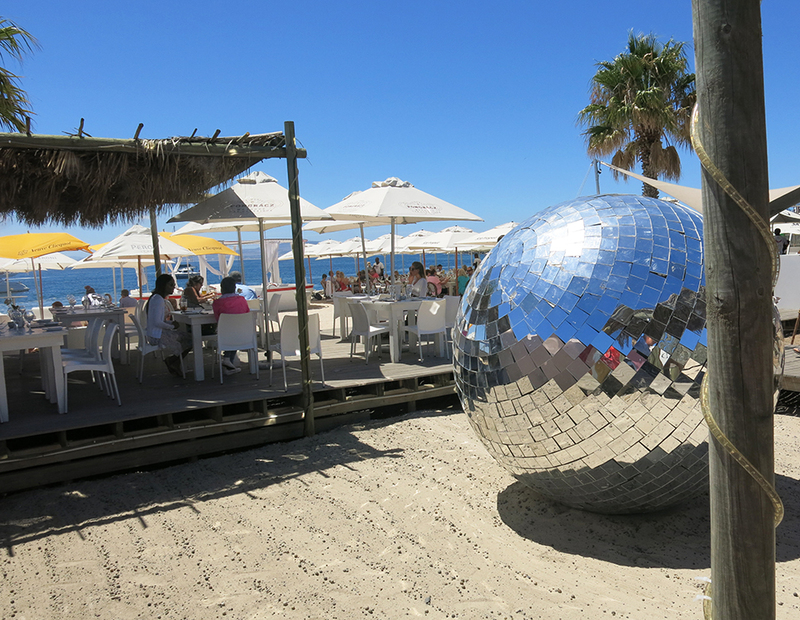 Those itching to take off their shoes and sit down may wish to stop off at the Grand Café and Beach, an artily renovated warehouse that’s the perfect place for a plate of moules frites and a spot of design-people watching. 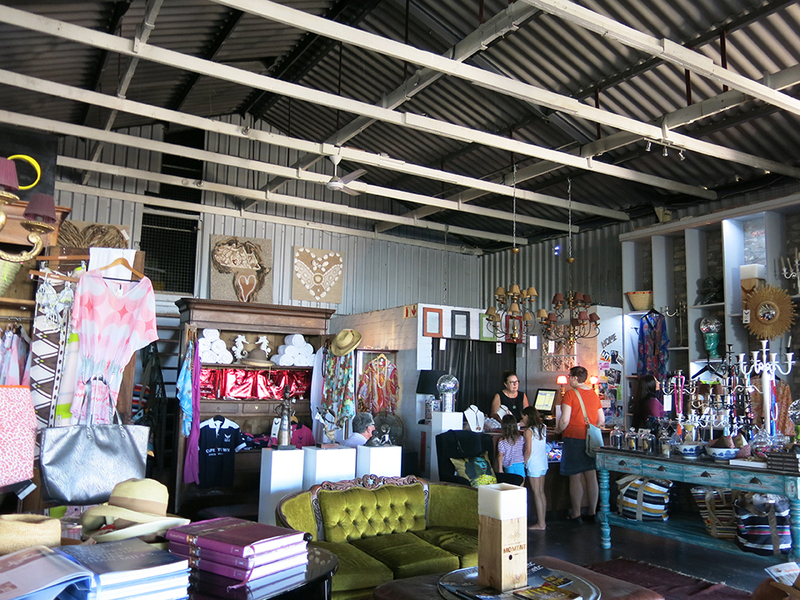 And if you’re not done with shopping, there’s a cool boutique here too.